Three cheers for amateur archaeologists! 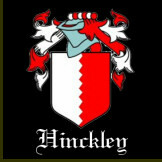 As an addendum to our recent complaint that Culture Minister Ed Vaisey had been visiting a metal detecting club (which, like all the rest doesn’t make it compulsory for Members to report their finds to PAS) it would be good to highlight a group of TRUE amateur archaeologists at Hinckley, the sort of people the government ought to be praising and helping rather than anyone else whose standards of social behaviour are demonstrably far lower. First, the Group reports all field walking activities to the Leicestershire County Council Archaeological Department. If the Group suspects that a site of special interest has been found: they take all the “finds” and any relevant data to the Arch. Dept for examination and the Arch. Dept. will visit the site and assess the Archaeology and whether it should be recorded on the National Heritage Environment Record (HER). Second, the Group catalogues all the “finds” with a unique reference number to identify each “find” and its location. If the landowner gives permission for the Group to keep the “finds”, some are kept by the Group for display and training purposes and the remainder are boxed and stored at Leicestershire County Council Archaeological Department. So. They report everything and pocket nothing. How good is that? How socially responsible. How academically useful. How unselfish. How lacking in hypocrisy. How quietly and completely self-regulatingly “responsible” !!! And there are scores of thousands of people just like them. So where’s the praise? And the recognition? And the quangoid press releases? And the Ministerial backslapping? Please Mr Vaisey, take note that this group in particular is at the very heart of an amazing community archaeology effort in Leicestershire which includes a Heritage Warden network which is the very essence of the Big Society. Why then are you messing about at a metal detecting club down the road in Oxfordshire when you could be visiting and encouraging people in Leicestershire that are so much more deserving? It’s not just archaeology thats being plundered for profit. There’a a black market in meteorites. Sites are plundered all over the world and the meteorites sold for large sums of money. It seems nothing is sacred.